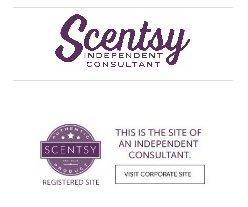 You know you can earn FREE Scentsy Products by Hosting a Party? By hosting a qualified party you can earn free and half priced Scentsy products to keep for yourself or give away as gifts. You can choose to have a home party or an open house (where people come and go as they please for a set amount of time) ..or, if you do not want the hassle of cleaning ..host a restaurant party and invite all of your girlfriends for a GIRLS NIGHT OUT! Think that you have no time for a party? That’s OK. I have you covered! Host an online catalog party or one of my Party on the go’s. I will give you a bag full of mini testers, catalogs, order forms, demo products and you carry it with you wherever you go, have your friends and family fill out the order forms and just bring it back to me within 10 days-2 weeks. These parties are also great for my long distance customers. I send you the supplies in the mail and all postage is paid by me.